ONE OWNER! Low 40k Miles! Orig Mfg 5yr/100k miles Powertrain WARRANTY! Well SERVICED! LOADED w/ ALLOYS, BLUETOOTH, POWER Windows/Locks/Mirrors/Steering, SIDE Airbags, ABS Brakes, AM/FM/XM/CD/AUX/USB, and so much more! AGGRESSIVELY PRICED to SELL QUICK! Carfax CERTIFIED! Mileage are Just Right! Condition is Great! Drive is Smooth! Tires are Good! Its Ready to Go! A MANAGERS' SPECIAL! Please Call INTERNET SALES at 678-217-7777 for Directions, Details, and a Test Drive! 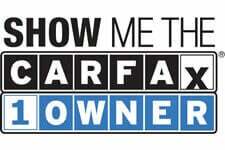 Please visit our website at www.MARIETTAUC.com for our latest Inventory, Pricing, Multiple Photos, and Free Carfax History Reports on All of Our Vehicles.Marietta Auto Mall Center is not responsible for any manufacturer voided warranty. We Strongly Encourage and Recommend all of our Customers to Please have any of our vehicles Pre-Sale Inspected by an independent service facility before Purchasing. Balance of Factory Warranty. Orig Mfg 5yr/100k miles Powertrain WARRANTY. Contact seller for details.